Unit3sixty Indoor Skatepark is a brand new facility in Stourbridge, and the only one of it’s kind in the Dudley borough. 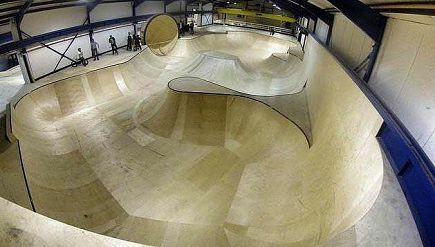 It provides an exciting extreme sports venue that caters for skateboards, bmx, skating and scooter riders of all levels of ability and age. The 22,000 sq.ft wooden skatepark is state of the art, and provides an indoor wonderland that is split into two distinct areas. One half of the skatepark is devoted to “street” which features banks, rails, hubba’s, grind boxes, rails and quarters etc. Whilst the other half of the skatepark features two bowls, which provide a completely different experience altogether. Unit3sixty is also home to an in-house cafe, viewing platform and skate shop.